Offset paper is also called two-side offset paper, wood-free paper. It is a fine paper that provides materials to print magazine, picture, trade mark, picture poster, book cover, product manual, and etc. the offset paper has advantages of small flexibility, even absorptivity, good smoothness, good whiteness, strong water-resisting property. In general, high-grade offset paper (class A) is made from 100% bleached chemical softwood pulp or mixing pulp (adds 20% bamboo pulp or cotton pulp). Relatively, low-grade offset paper (class B or C) is made from bleached straw pulp. There are various manufacture methods of offset paper, softwood and hardwood mixing pulp, 100% chemical wood pulp, 100% cotton pulp, 100% kenaf pulp, wood pulp mix with cotton pulp, bamboo pulp, wheat straw pulp bagasse pulp, jute pulp, the wheat straw pulp is usually less than 60%. Besides, in the processing of softwood pulp offset paper manufacture, add 30-40% bleached hardwood pulp, which can increase the smoothness of paper, improve the ink receptivity and evenness of paper. The pulp processing of offset paper can be generally divided into materials preparation, pulp cooking process, pulp washing process, pulp screening process, pulp bleaching process. The plant fibers should be treated before chemical pulping or mechanical pulping. The treatments of materials include removing bark, knot, stachys, sheath, dust and sands, etc., and cut the fiber materials into required sizes. So the materials preparation can be called a processing for meeting the requirements of the following steps. 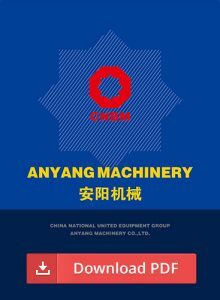 The materials preparation includes three procedures: materials stocking, materials treatment, treated pulp transportation and stocking. After chipping, most of the chips are 3-8mm thick, 10-15mm wide, and 25mm long. The clean chips are sent into pulp cooking process, save chemicals consumption, and result in even cooking and high pulp quality. The natural moisture of wood logs is about 40%, generally, if the wood logs are clean and healthy, it can be sent into the paper pulp production line. If the wood logs are not clean, to reduce the pulp washing load and sand of pulp, use pressure water to wash the wood logs. Before chipping, the wood logs should pass the peeling machine and log splitter, reduce the silicon content of fiber materials. Adjust the clearance according to diameters of wood logs. The lignin of softwood is about 30%, relatively higher than other fibers, so it is necessary to control the cooking temperature strictly in the pulp cooking process. The ash content of wood is between 0.3%-0.5%. The pulp cooking equipment selection is very important for pulp plant. Currently, small and medium scale pulp mills adopt vertical pulp digester and blow tank. Compared to rotary digester, pulp digester has advantages of large capacity, high pulp yield, high productivity, less area occupied. But pulp digester also has shorts like more accessory equipment, complex structure, high investment. Common pulp digester sizes include 110m3, 135m3, 225m3. The blowing of the pulp cooking process will produce so much steam, heat recovery is needed. Generally, use heat exchanger process the steam into water and apply for pulp washing process. RDH cooking can save 70%-80% steam, and cold blow improves the pulp strength, black liquor with high sulfidity can decrease the hardness of pulp. Alkaline consumption: bleached pulp requires 18%-23%, sometimes higher than 23%. All in all, removing lignin content decide the alkaline consumption. Liquor ratio: when alkaline is certain, liquor ratio is mall, concentration of chemical is big, cooking ratio is fastm steam consumption is small. The liquor ratio of sulfate wood pulp is 1:2-2.8, vertical pulp digester is suitable for bigger liquor ratio, generally 1:3-3.7. Sulfidity: the sulfidity of bleached pulp should be 15-20%. Temperature: delignification of Kraft wood pulp cooking can be classified into three stages: first stage: primary delignification(100-150℃), abundant delignification(150-175℃), residual delignification(175℃). As for pulp screening equipment, there are roughing screener and preliminary screener. Common roughing screener includes high frequency pulp screen and high pressure knotter. The order of pulp screening and pulp washing can be exchanged, to improve black liquor extraction ratio, reduce fibers lost and pollution, take washing process first. According to the working principle, the pulp washing equipment can be divided into three types. The first type: use the principle of dilution dehydration, wash the waste liquor by multiple dilution and dehydration. Because the concentration of extracted liquor is decreased and water consumption is increased, this kind of washing process is limited. The second type: displacement washing equipment, better washing effect, and high clean degree. The third type: the washing equipment both have the function of dilution dehydration and displacement washing. This type of washing equipment can improve the washing effect largely. Common equipment includes vacuum drum washer and pressure washer. After the pulping process is finished, the softwood pulp will be sent into papermaking process, and the pulp mill will manufacture pulp into offset paper for different uses.